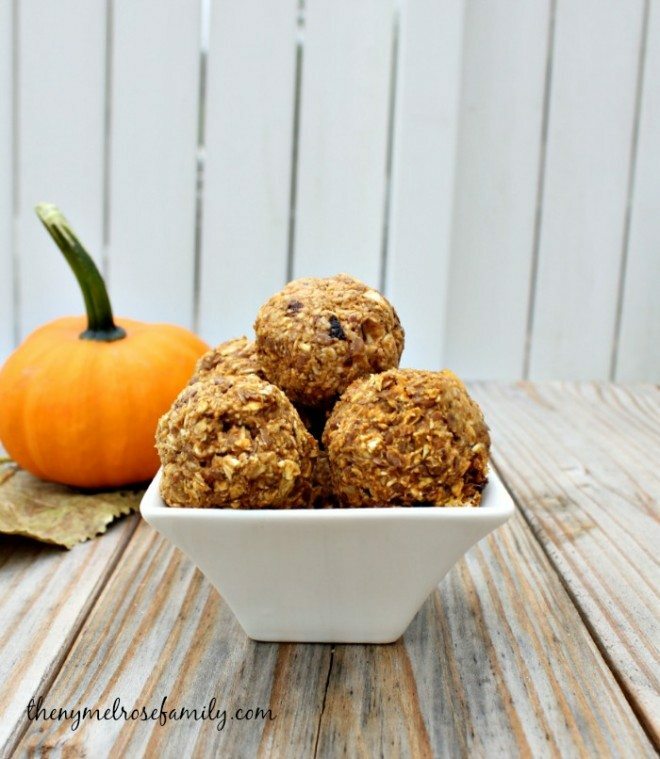 This time of year calls for lots of Pumpkin recipes. It’s as if the second that a little bit of cold weather gets into the air then we are straight into Fall which is fine by my girls who love any reason for me to bake. I’m more of an apple lover myself though. Since my girls are still little are try to find ways to bring in the flavors of the season without continually baking them cupcakes so we put a healthy twist on the pumpkin pie recipe and turned it into a smoothie! Anytime I can get Riley to help in the kitchen I take advantage of it because I find that she’s more likely to try something if she helped prepare it. Plus, I try to reinforce my love of being creative in the kitchen. 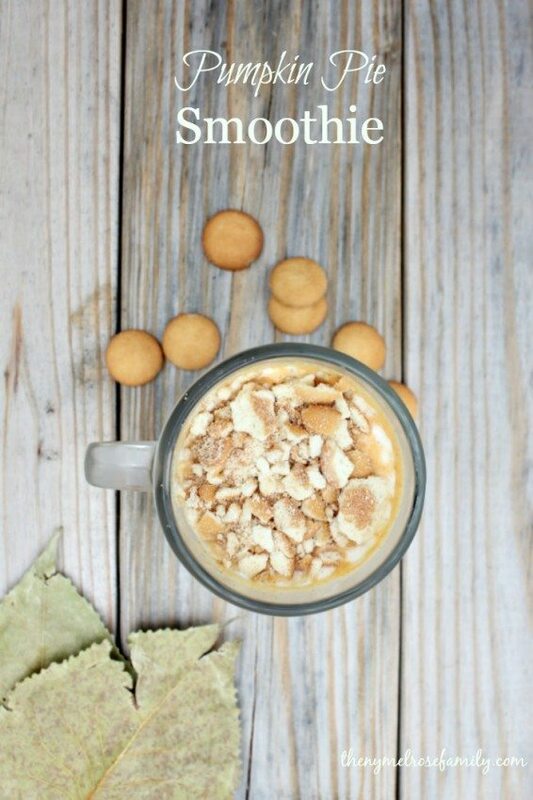 I had her prepare our Mini Nilla Wafers by crushing them so that they could be the perfect topping for her smoothie. 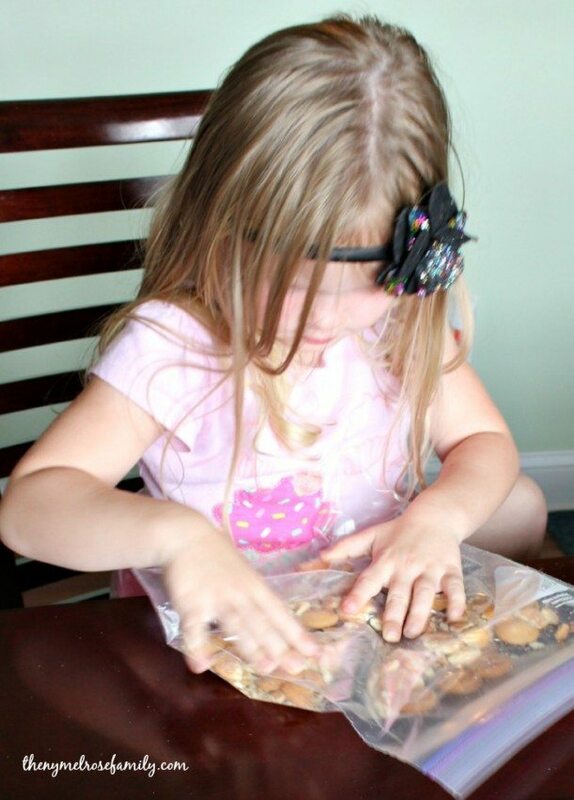 She loved that she got to crush the cookies because ordinarily we’re asking the girls not to do this due to the crumbs that usually go everywhere. Thank goodness for Ziploc bags! Riley wasn’t the only one who got in on the action. Avery made sure to get her fair sips of the Pumpkin Pie Smoothie. I’m pretty sure she probably drank most of it. She immediately recognized the mason jar cup that I pulled out of the cabinet as her smoothie cup so there was no backing out at that point. The Mini Nilla Wafers on top of the Pumpkin Pie Smoothie made this come together perfectly for me. I’m pretty sure that Avery wouldn’t have cared. As long as she had a smoothie she was good to go. Crush the handful of Mini Nilla Wafers and set aside. 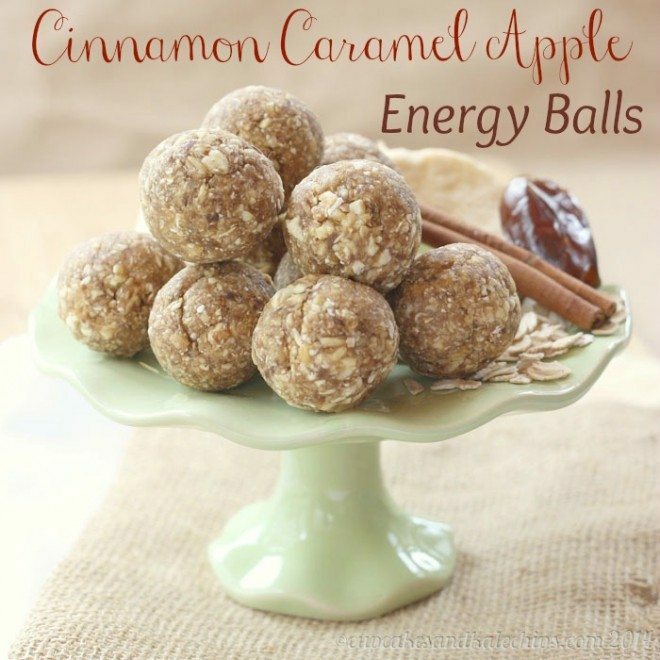 In a blender combine the milk, yogurt, pumpkin pie filling, and pumpkin pie spice and blend until smooth. Pour into a glass and top with the crushed Mini Nilla Wafers. 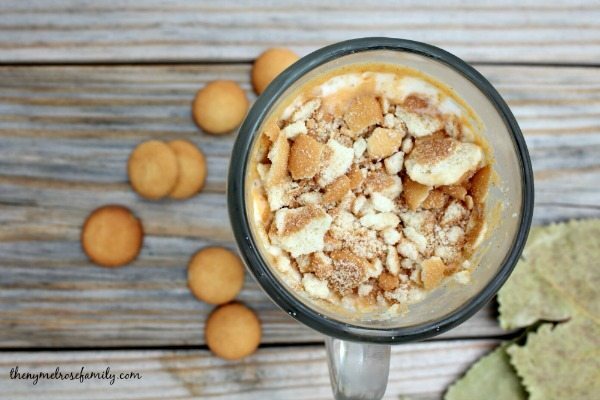 This pumpkin smoothie recipe sounds so yummy, and is perfect for fall. Thanks for sharing so I can give it a try!